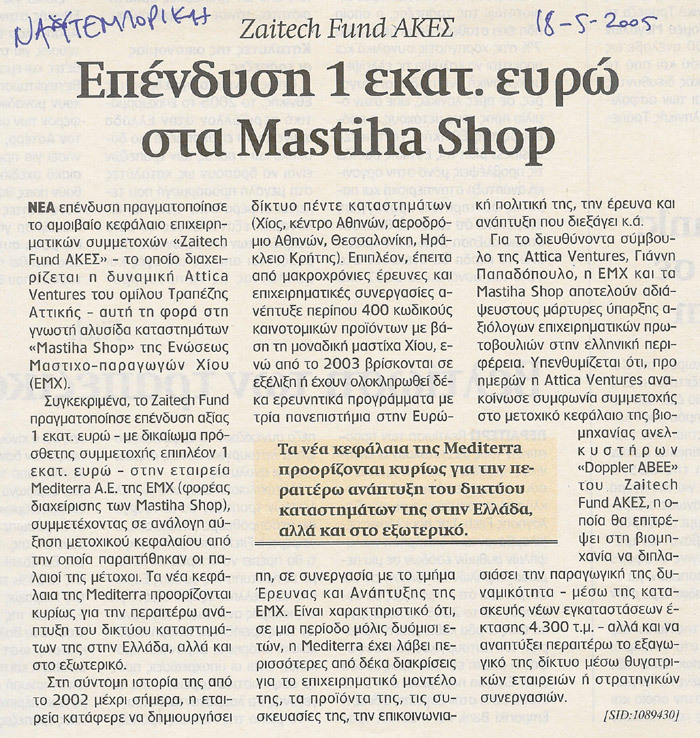 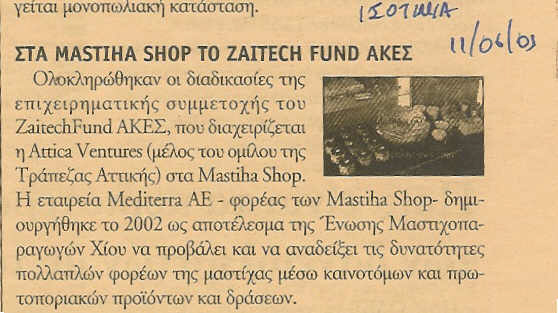 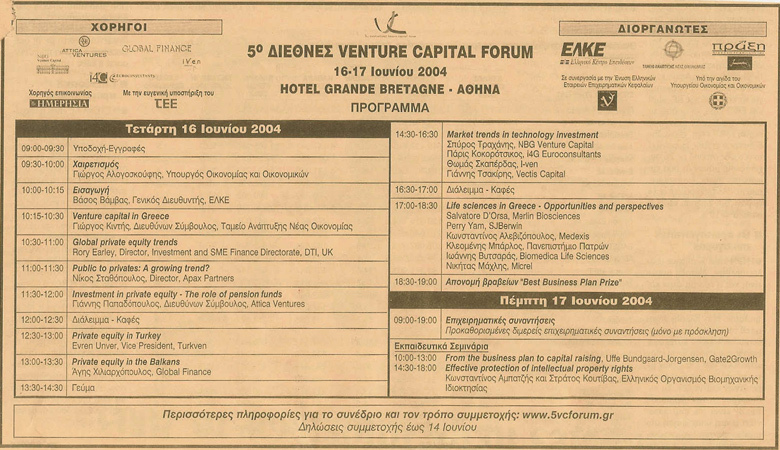 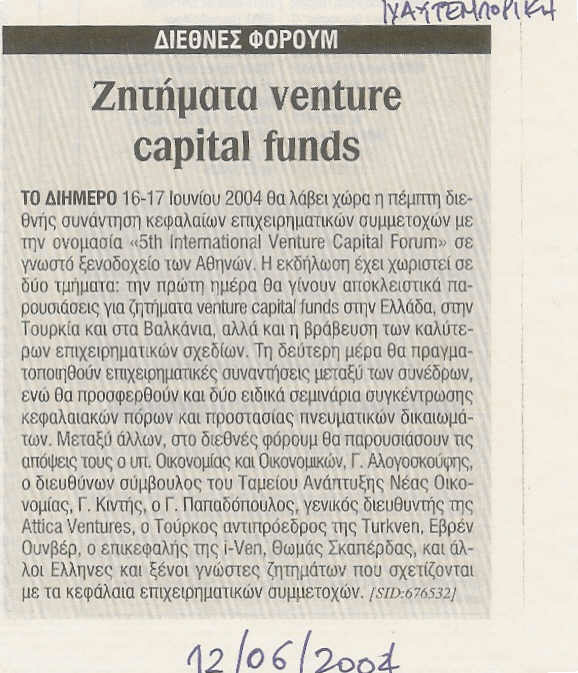 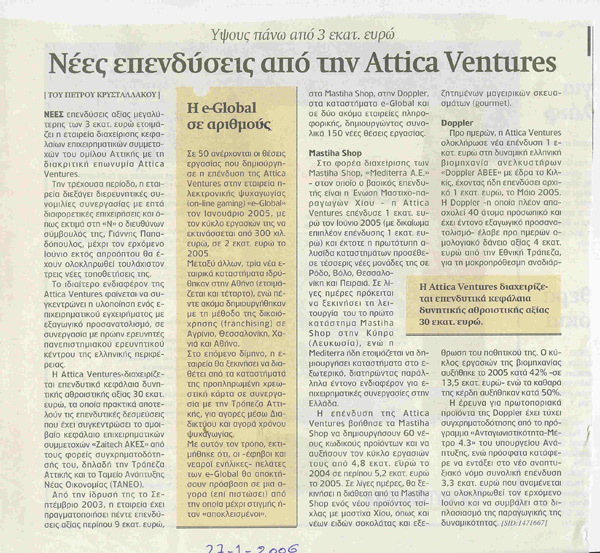 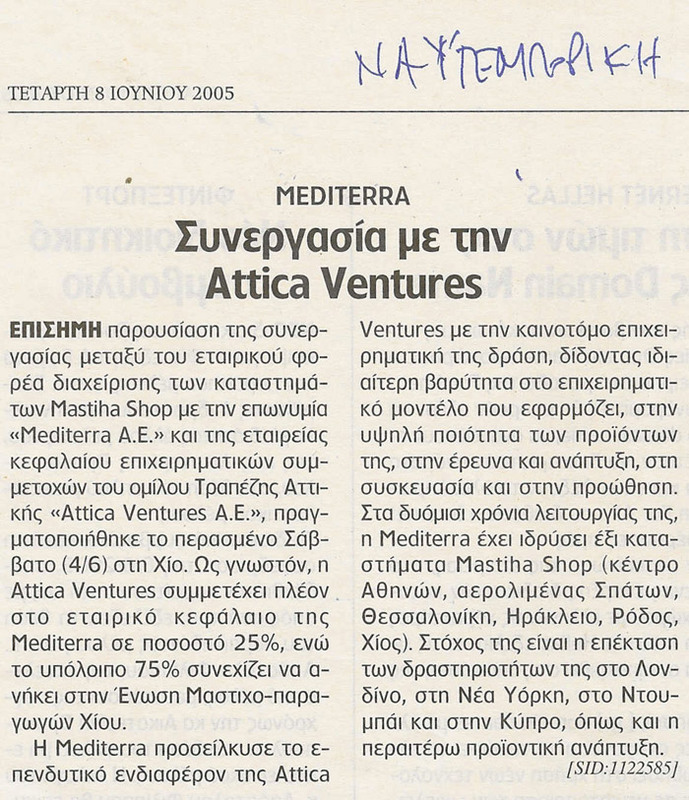 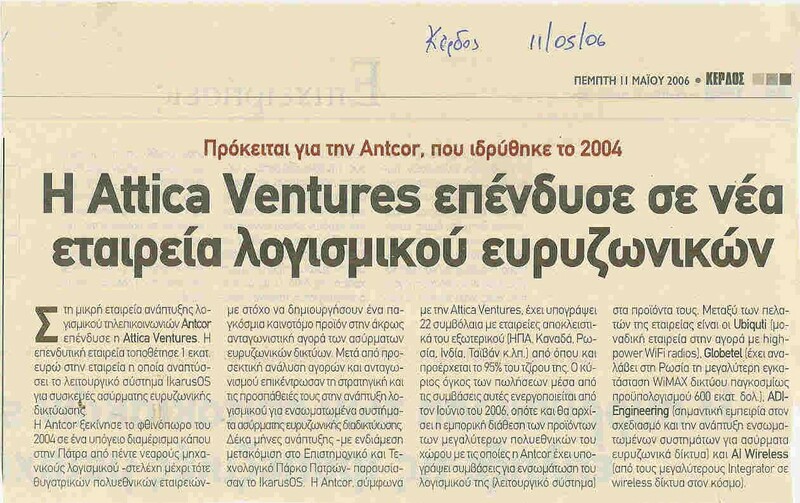 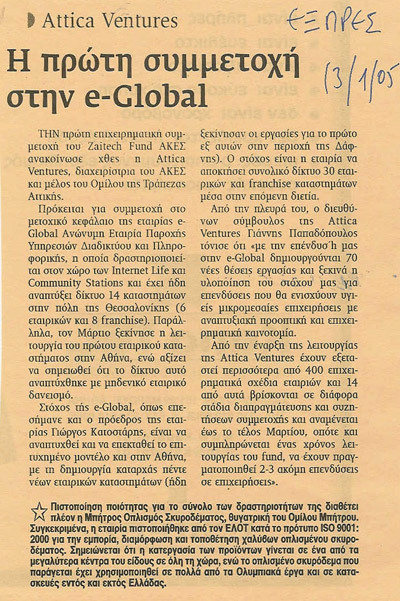 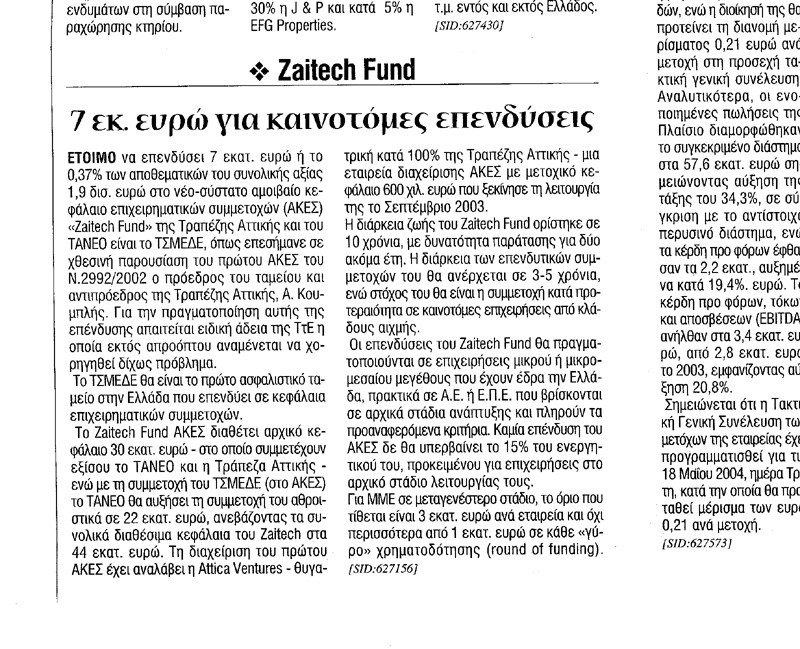 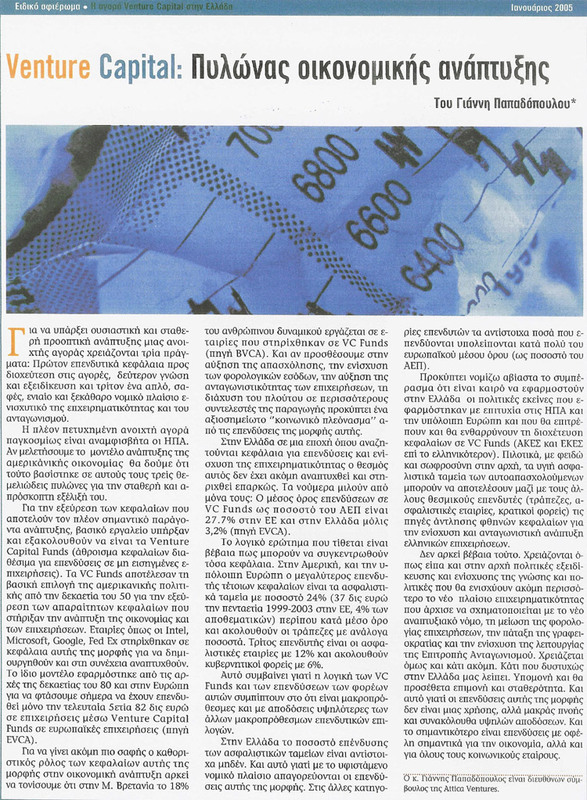 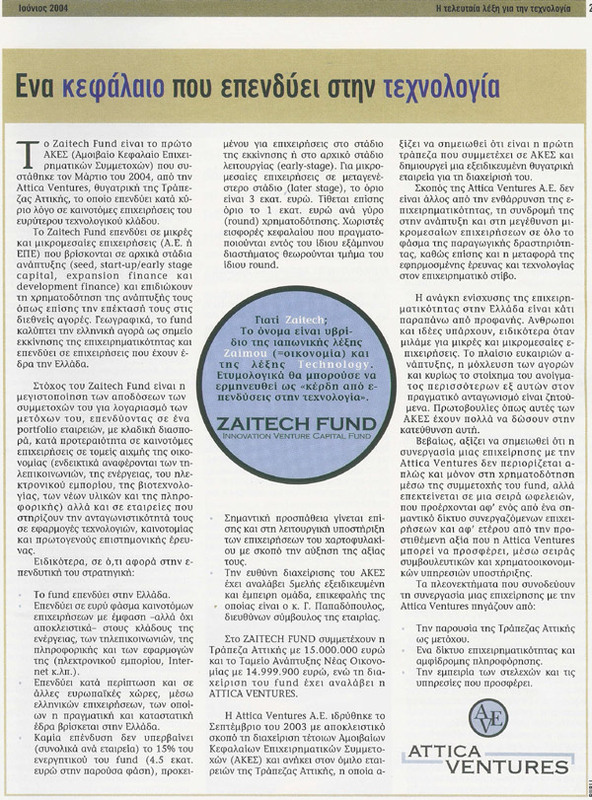 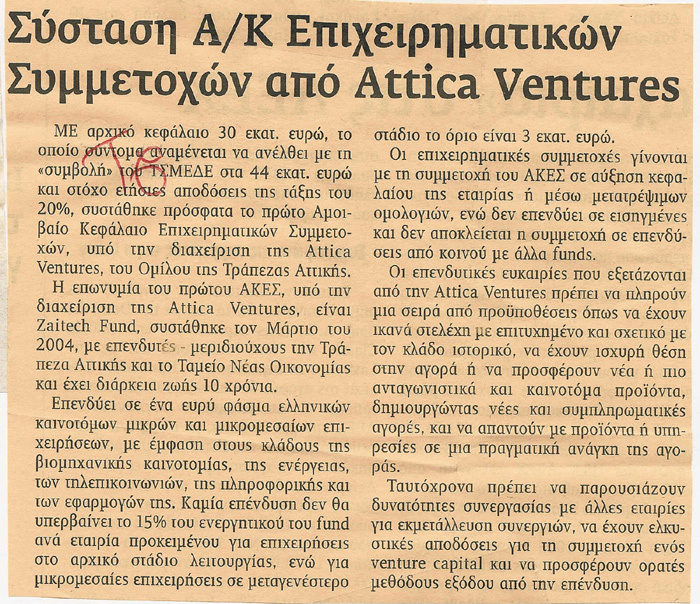 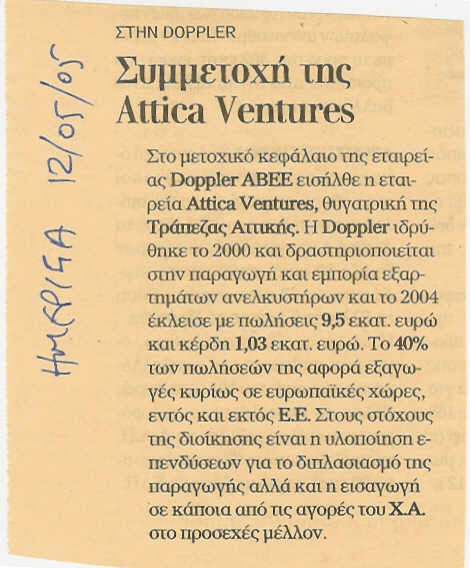 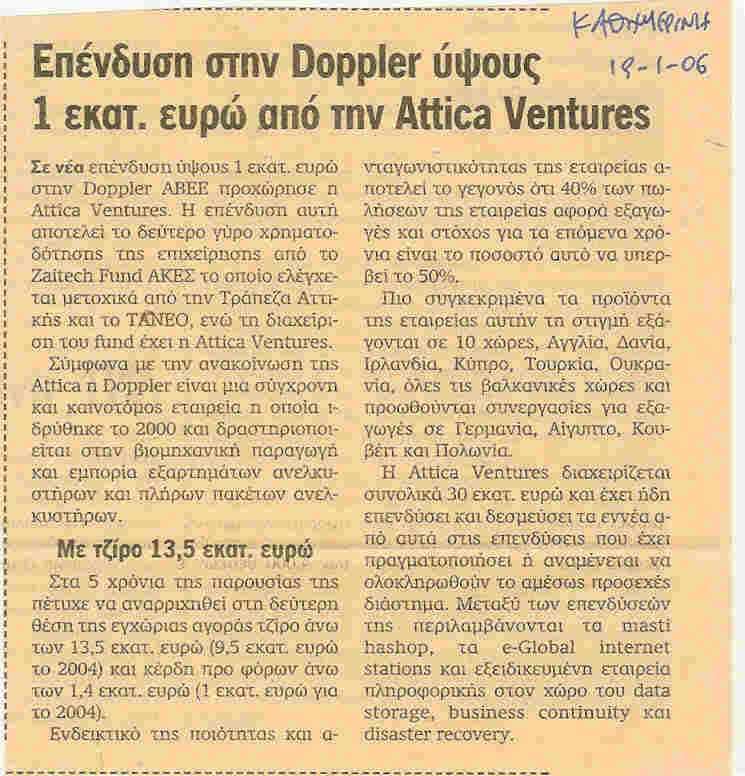 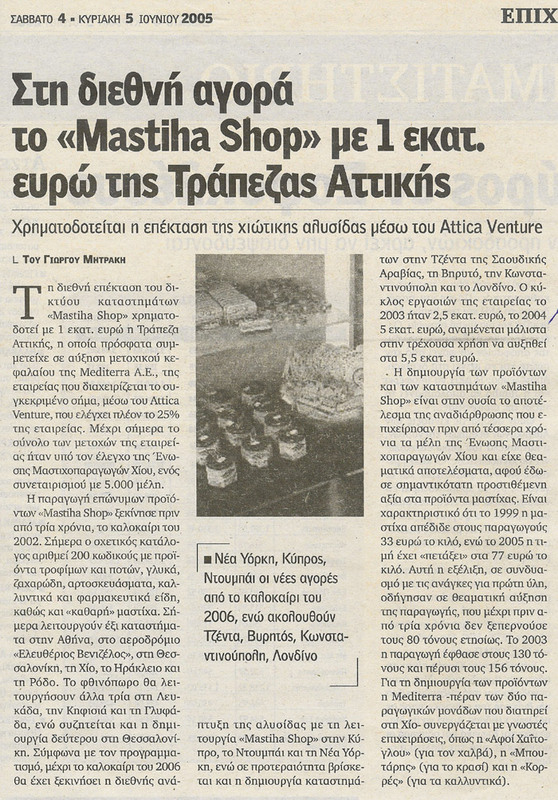 In this page we present several articles about Attica Ventures and the objective of Venture Capital Funds in Greece. 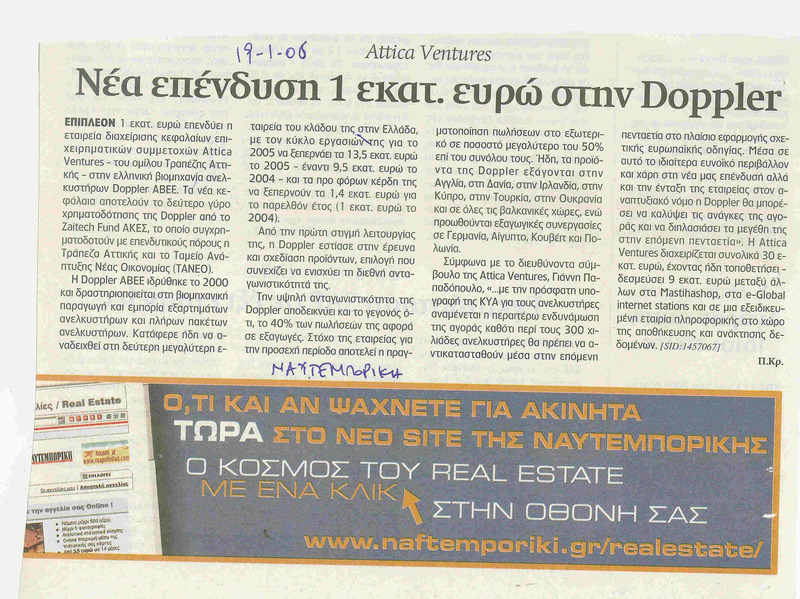 Interview with Giannis Papadopoulos, CEO of Attica Ventures: "Greece can take again the leadership"
Annual EBEA Awards: eleven companies were awarded"
Giannis Papadopoulos, CEO, Attica Ventures: "The shareholders must prove their faith to their companies"
Interview of Giannis Papadopoulos at Proto Thema: "We are continuing to buy Greek SMEs"
10/04/06 Source: Economist (Newspaper Kathimerini), April 2006. 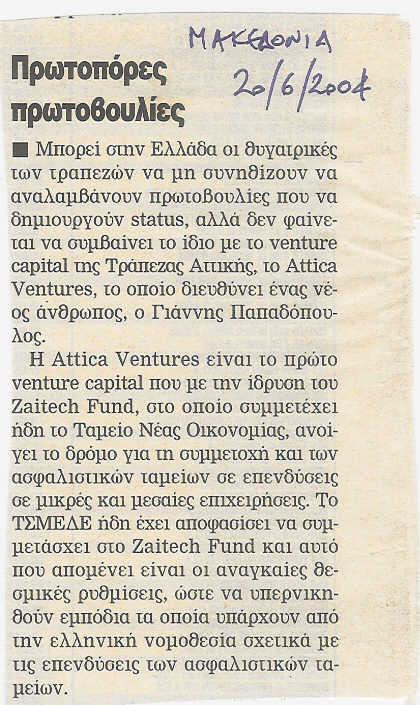 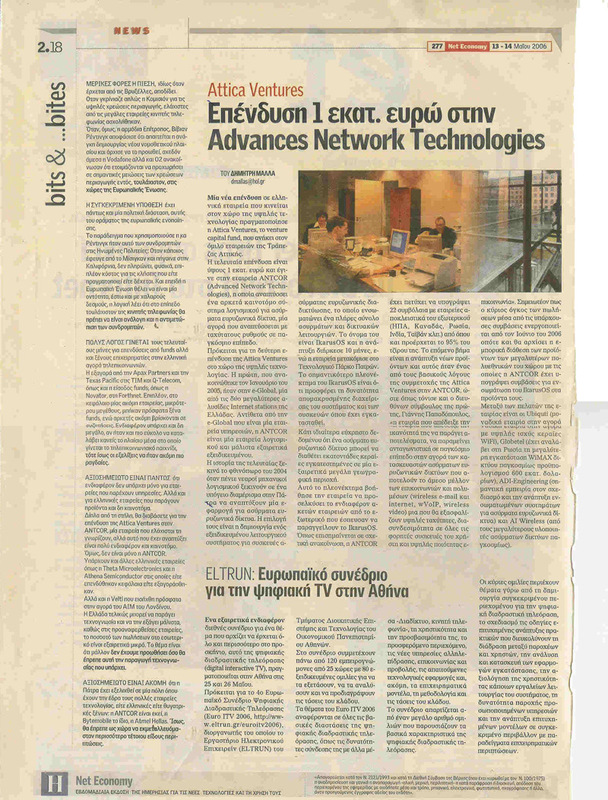 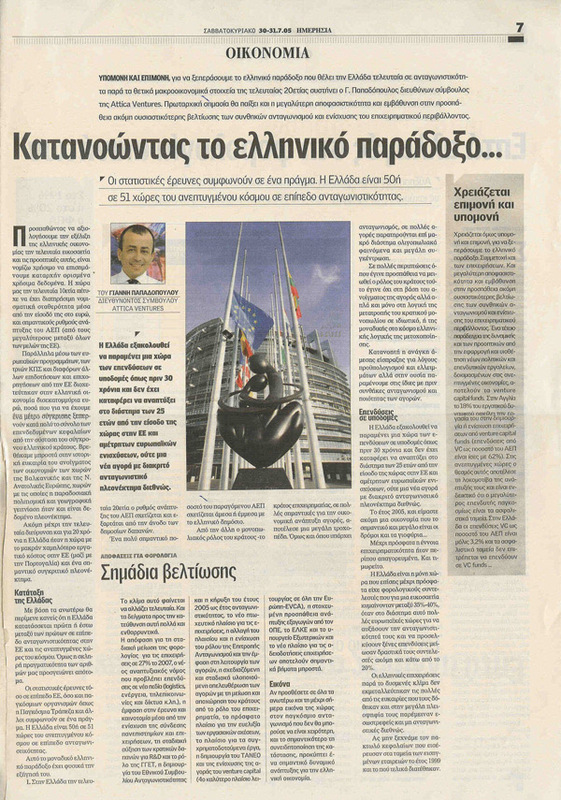 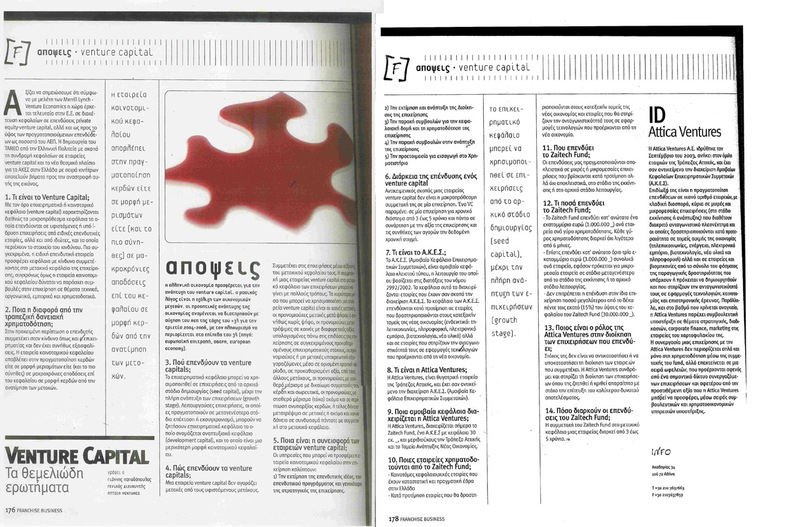 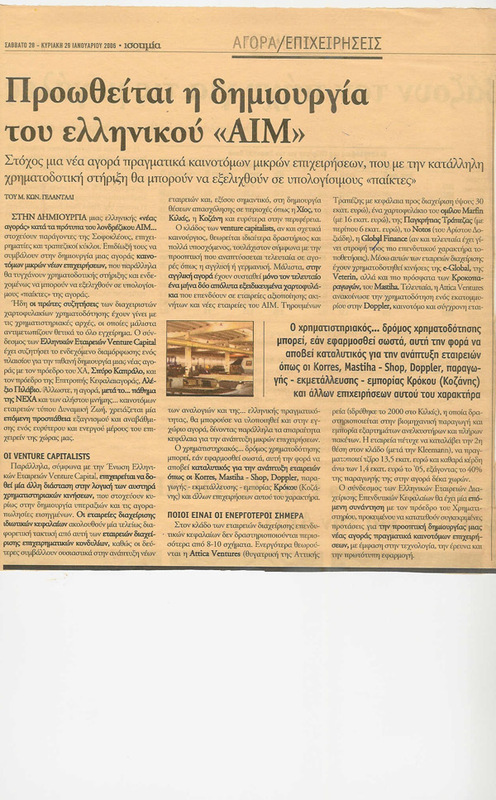 Towards the creation of the Greek "AIM"
Giannis Papadopoulos' interview, Attica Ventures' CEO, to the weekly economic newspaper "Epichiro"